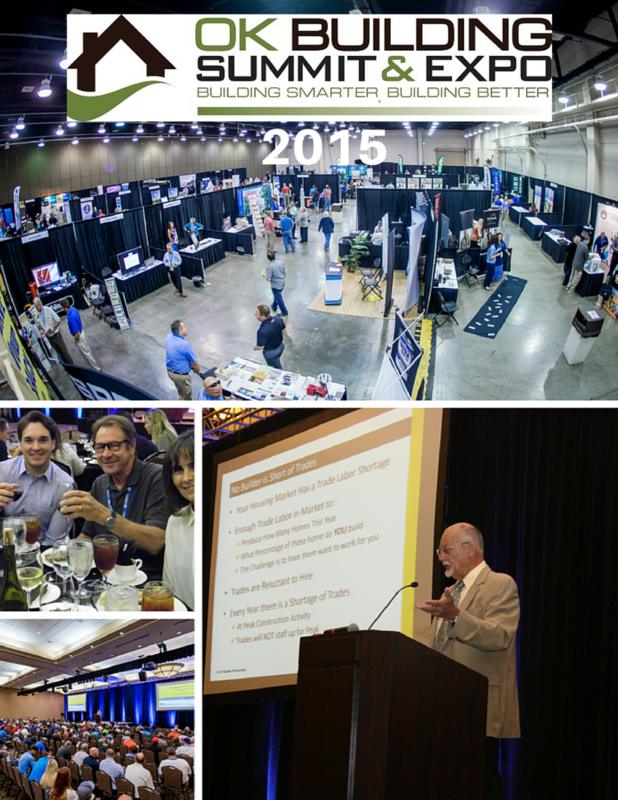 The 2015 Oklahoma Building Summit & Expo was (pick one): A) A smorgasbord of industry educational opportunities; B) a go-to place to see and touch cutting edge building products; C) the state’s largest networking event for home building leaders; or D) all of the above. If you attended the two-day Building Summit on Aug. 26-27 at Oklahoma City’s Cox Convention Center, you know that “D” is the easy answer to this quiz. 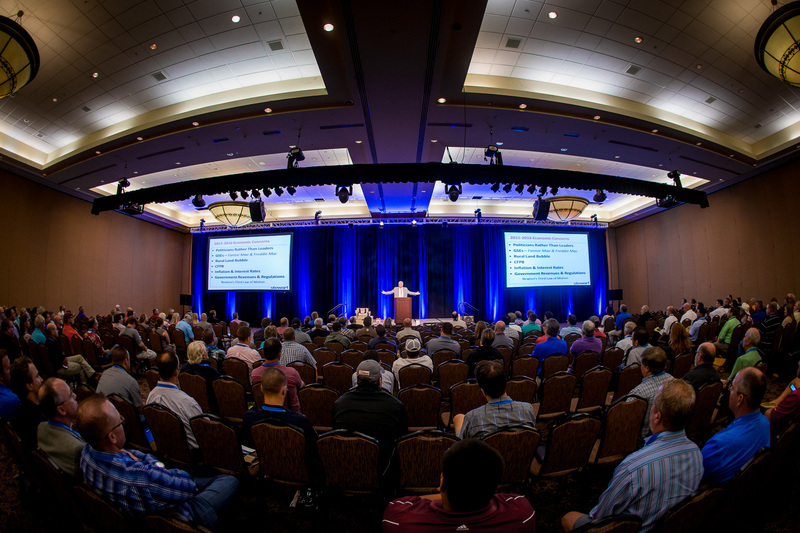 Approximately 625 Oklahoma home builders, trades and suppliers converged on the Cox Center to be challenged by speakers, enlightened by educational session leaders and to enjoy the camaraderie of their peers. This surpassed the 500-attendee goal the planning committee set, and the current summit count almost doubles the number of attendees last year. The Building Summit opened with a keynote presentation by Charles Shinn Jr., Ph.D., a Denver-based industry consultant who challenged his audience to become the builder of choice. Then he told them how to accomplish that mission. Breakout educational sessions brought information on a wide variety of industry topics, including the top reasons that inspectors reject new construction, 25 critical mistakes builders make, the challenges of using concrete in construction, the limits of general liability insurance and much more. In between speakers and classes, the trade show in the Cox Center exposition hall and an area designated for networking, was a big draw for participants. More than 53 vendors showcased the latest products for use in home building, while the builders swapped stories with each other in the networking area. 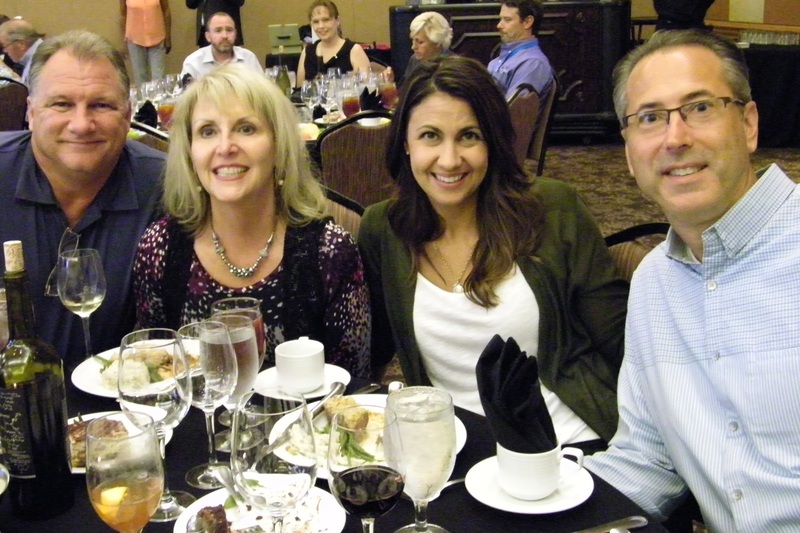 An evening banquet featuring David Wood of Giant Partners as guest speaker, along with musical entertainment, concluded the first day. On the final day, two sessions of concurrent breakout classes preceded closing keynote by Ted C. Jones, chief economist and Senior Vice President for Stewart Title Guaranty Co. in Houston.